Fast and Effective Teeth Whitening with KoR! Nowadays, there are various teeth whitening methods that help improve your smile and color of your teeth. Some whitening procedures can be done at home and some at the office with just one visit. However, over the counter home whitening products will not whiten your teeth as quickly and as effectively as Upland teeth whitening dentist Dr. Zaveri using the KoR! teeth whitening method. Your teeth’s enamel and dentin can get discolored by certain foods and by products that we consume every day. Our Upland family dentistry Alta Dental Care uses KoR! Advanced Power for fast teeth whitening that effectively lightens any type of teeth discoloration. 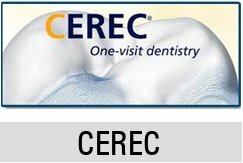 It is a fast, proven, and safe way to get a brilliant and sparkling set of teeth. 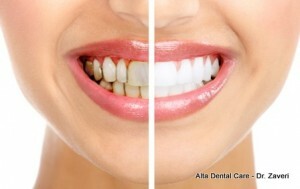 Alta Dental Care will provide you with a take-home kit to ensure your new smile will never fade. Soft transparent trays are filled with whitening gel. These trays fit tightly over your teeth and are worn for the prescribed time. The trays can be worn during the night or day and you should notice results within the first treatment. For this treatment, we use Philips KoR product. Discuss Upland teeth whitening procedures with your trusted dentist Dr. Zaveri today. Call 909-985-6116 or for more convenience you can make an appointment online.